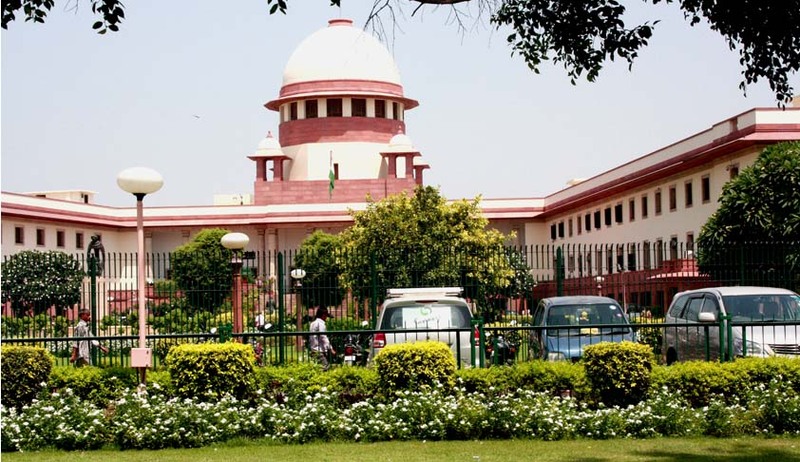 The Supreme Court today disposed of a petition filed by lawyers assailing the selection of 12 persons for appointment as judges to the Madras High Court. Earlier, the collegium of the Madras High Court consisting of its Chief Justice and two senior most Judges vide Resolution dated 12.12.2013 recommended a list of 12 persons comprising of ten advocates and two District Judges for consideration by the collegium of Supreme Court for appointment as Judges of the Madras High Court. The said list was forwarded to the Ministry of Law and Justice, Government of India, the Supreme Court of India as well as to the Government of Tamil Nadu on 14.12.2013 as required under the law. At this point, the writ petitioner, Mr. R. Gandhi, Senior Advocate, filed Writ Petition No. 375 of 2014 before the Madras High Court seeking a direction to the Union of India and the Supreme Court collegium to return the said list as the recommendees therein were not suitable as per the assessment of the writ petitioner and other members of the Bar for elevation. More so, the collegium of the High Court did not recommend the name of the eligible advocates belonging to different castes. The petitioner had averred that the Hon’ble Chief Justice and first senior most Judge did not hail originally from Tamil Nadu, so they were unable to understand and appreciate the complex social structure of the State of Tamil Nadu. The Division Bench of the Madras High Court entertained the writ petition and passed the orders dated 8.1.2014 and 9.1.2014. According to the first order, an interim direction was issued directing the Ministry of Law and Justice, Government of India to maintain the status quo, while vide the second order dated 9.1.2014, it restrained the Government of Tamil Nadu from making any recommendation in this regard and further to maintain the status quo till 21.1.2014. Aggrieved, the Madras High Court through Registrar General preferred Special Leave Petition (C) Nos. 892-893 of 2014, wherein after hearing the learned Attorney General, appearing for the petitioner – High Court, the Apex Court on 13.1.2014 passed an order transferring the said cases to the Apex Court for being heard by a Bench of minimum three judges, and restrained the High Court from proceeding further with the matter in W.P.No.375/2014 and also vacated the interim order passed by the High Court to maintain status quo regarding the process of the recommendations. When the matter came up for hearing on 18.2.2014, the petitioner made a statement that the Supreme Court collegium had returned the entire list to the Madras High Court for reconsideration, thereby rendering the matter infructuous. The Court accordingly passed the order dismissing the Writ Petition as having become infructuous. However, two other writ petitions were filed subsequently in the Madras High Court with respect to the same subject matter, pursuant to which the High Court filed petitions seeking to transfer those cases to the Apex Court . Since the order dismissing the writ petition as infructuous was not signed, the matter was posted to 25.2.2014. On the said date of posting, the Attorney General and other Advocates appearing in the cases before the Apex Court insisted that matters must be heard at least to decide the issue of maintainability, otherwise in future, it would be impossible to complete the process of appointment of Judges in the High Court, particularly when sitting Judges of the High Court also have started appearing before the Bench hearing the case in support of the contentions of the writ petitioners. In response, the senior counsel appearing for the petitioners, Shri. Prabhakaran still insisted that writ petitions be dismissed as having become infructuous because of the subsequent developments. The Attorney General as well as the Solicitor General submitted before the Court that judicial review on assessing the suitability is not provided for as it is restricted only to the eligibility. As there is no challenge to the fact that there had been a proper consultation by the Hon’ble Chief Justice of Madras High Court along with his other Judges members of the collegium, such judicial review is uncalled for, and accordingly prayed for a dismissal of the writ petition. On the issue of maintainability, the Apex Court held that judicial review is permissible only on assessment of eligibility and not on suitability. The Court also said that the petitioners took a premature step by filing writ petitions seeking a direction to Union of India to return the list sent by the collegium of the Madras High Court without further waiting its consideration by the Supreme Court collegium. The Court went on to say that even after the President of India accepts the recommendations and warrants of appointment are issued, the Court is competent to quash the warrant as has been done in this case of Shri Kumar Padma Prasad v. Union of India & Ors., AIR 1992 SC 1213 wherein the recommendee was found not possessing eligibility for the elevation to the High Court as per Article 217(2). The Court further found fault with the petitioners for adopted an unwarranted short cut knowing it fully well that on the ground of the suitability, the writ petitions were not maintainable and said that the writ petitioners or the members of the Bar could have approached the Chief Justice of India, or the Law Minister instead. Holding that the writ petitions were pre-mature, the Apex Court disposed of the petitions before it in the light of the above referred observations.